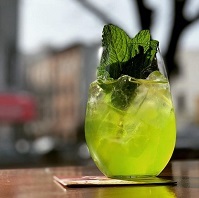 Travels to the East are the inspiration behind Sama Street, a new cocktail bar in Greenpoint. 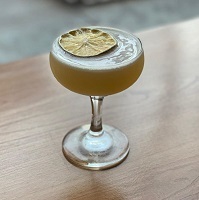 Drinks come with names like Slow Boat to China (Thai rum, mint, pandan, coconut and bubbles) and Hidden Dragon (campari, bourbon, lychee, vermouth, coffee, long pepper and chili). Beers from Laos, Thailand, Singapore and Japan are also offered. Asian influence are also felt on the menu. 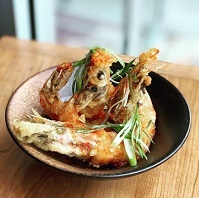 Small plates of Crispy Prawns with Thai chili sauce are offered along with Mantou Bao & Crab Gravy, Steak Salad with a gochujang marinade, and Grilled Octopus with charred cauliflower. The space at Sama Street has a tropical feel with dangling wicker lamps, colorful tiles and lush greenery.